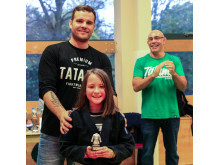 From February 2016, junior BJJ players in the North East of England will have the chance to compete regularly at friendly and well-organised BJJ tournaments as a North East England Kids BJJ League is announced. 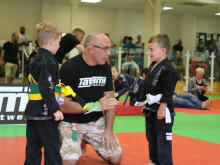 Entry fees will be low and affordable making the event regularly accessible to all families. 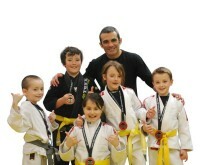 Ian Malone and Lesley Harrison will be running these events in Newcastle. 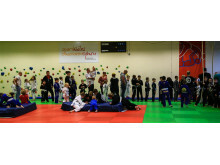 The competitions will run on the second Sunday of every month from February to November and create a springboard for juniors to compete regularly to prepare for bigger competitions. 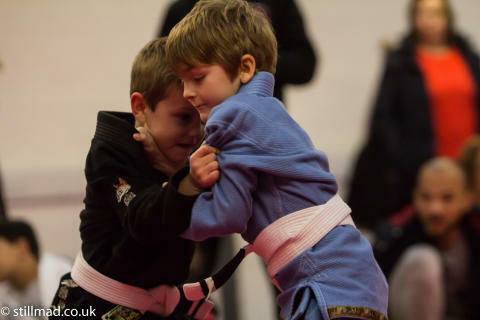 The first North East England Kids BJJ League competition will take place on 14th February in Newcastle (exact venue TBC). 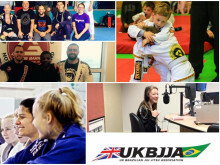 The North East England League events, like the Southern and Eastern English Leagues and the Scottish and Welsh League will be x1 points UKBJJA ranking events. 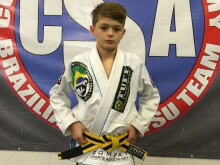 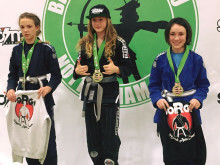 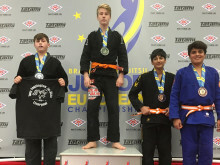 With the aim of encouraging and rewarding young talented athletes, the UKBJJA has developed a ranking system which recognises the top junior BJJ players. 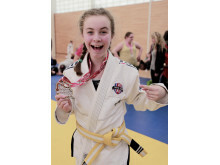 This includes large national competitions as well local kids leagues. 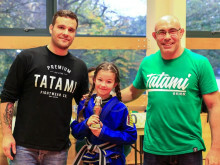 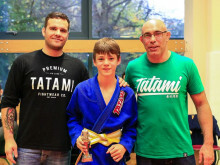 There are various sponsorship packages available for the top juniors at the end of the year, with the league winners of 2015 rewarded with free entry to their local leagues and a free BJJ gi. 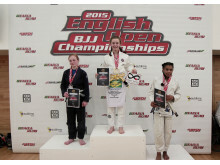 For more information please contact the organisers at kidsleague@originsports.org.uk. 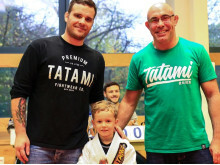 Children gather to weigh in at the last Welsh Kids BJJ League of 2015 at the Welsh Institute of Sport in Cardiff.